‘Koffee with Karan 6’ is up and running and another interesting pairing is all set to grace the couch. According to reports, Ishaan Khatter will be appearing with his half brother Shahid Kapoor on Karan Johar‘s show. The pairing will no doubt create enough curiosity and after already seeing Akshay Kumar-Ranveer Singh pairing on the show, expect more fireworks. Shahid Kapoor during the last season had come with his wife Mira Rajput and this season, we will already see Arjun Kapoor apperaring with Janhvi Kapoor, Saif Ali Khan coming with his daughter Sara Ali Khan. Karan Johar shares a close bond with Ishaan as he was seen in his film ‘Dhadak’ and both these actors are fantastic actors as well as dancers, so will there be a dance-off? On the work front, Shahid Kapoor was last seen in ‘Batti Gul Meter Chalu’ alongside Shraddha Kapoor and would be next seen in Arjun Reddy’s remake ‘Kabir Singh’. Ishaan Khatter was acclaimed for his performance in ‘Dhadak’ opposite debutant Janhvi Kapoor. 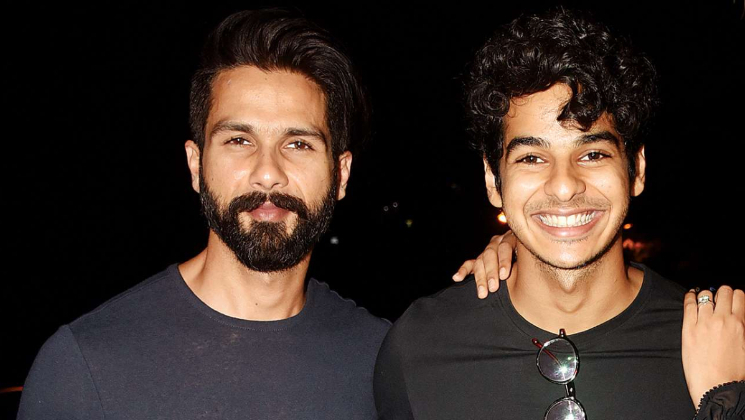 Also Read: Ishaan Khatter and Shahid Kapoor to appear together on ‘Koffee With Karan’?